Great Lakes Weimaraner Rescue was created in an effort to support and provide for the rescue, recovery, care, rehabilitation and re-homing of Weimaraners in need across the Great Lakes region. No one individual is Great Lakes Weimaraner Rescue…several individuals came together to form a collective and collaborative organization with our sole purpose being to assist Weimaraners in need. Dogs that are received into GLWR’s program come from a variety of backgrounds and situations. Some are recoveries from various shelters. They may have arrived into the shelter as a stray and not reclaimed by their owner or the animal may have been surrendered to the facility by their owner. Most of the dogs that we receive into our rescue program rarely come from abusive situations. They typically come from loving families that can no longer keep them due to a move, divorce, death in the family, etc…. Others come from families that just didn’t know what they were getting into when they bought a Weimaraner puppy!! 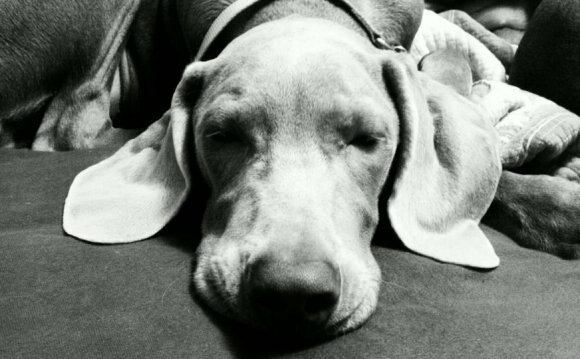 Weimaraners are not the type of dog that can be expected to keep themselves entertained. They need both physical and mental stimulation to be happy, healthy and content. They have a higher than average need for exercise than other dog breeds and are not the type of dog that will lie around and wait for “their turn”. They expect to be part of the family and if left to their own means without constructive outlets could become destructive. They love to be with “their people and families”. You can learn more about the breed at or at www.akc.org. For the safety of your children and the welfare of our dogs, GLWR takes special care and consideration when adopting to families with small children, especially if the family has never owned a Weimaraner. This precaution is to protect both the children and the dog. Weims can be exuberant and easily excitable; many children have been knocked to the ground as the Weim tries to beat them to the door, to the car or to the kitchen to get “cookies”. Weims, like any other breed, can be wonderful companions for children. However, this breed also has a low threshold for things such as pulling, pinching, poking and of course teasing. No dog likes to be teased. Children, especially toddlers, often do not understand physical boundaries and are typically at the dog’s height, putting them at greater risk for injury from a reactive, dog response. Children will sometimes hug too tightly or too long, grab the dog for stabilization when attempting to walk, slap the dog when excited or trying to “pet” them, squeal into a dog’s sensitive ears or want “kisses” when a dog is sleeping. While all these behaviors are very natural for a child, they are behaviors that are uncomfortable for a dog. It’s important to note that pre-teen children of any age should NEVER be left unsupervised around any dog regardless of how “good” you may believe that dog is with children, this is especially true with toddlers and any child under the age of 5 years – dogs are not are not four-legged babysitters – they are animals with big teeth! After all, dogs will be dogs, and kids will be kids – it doesn’t make either of them “bad” it is just makes them who they are! For all the reasons noted above we ask that families with children interested in adopting a GLWR Weimaraner understand that it may take us a little longer than typical to find the right dog for your home and lifestyle. We take extra care when placing dogs to families with children to make sure it is the right fit for everyone. We want to make sure that the adoption experience is a good one for our dogs and also for you and your family. We want our dogs and adoptive families to be happy and be good “rescue ambassador’s” in their communities and help spread the word about adoption options available for displaced Weims and all breeds. 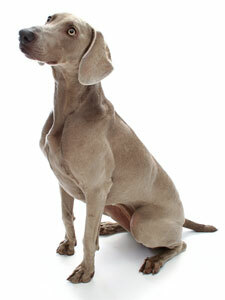 If a GLWR Weimaraner still sounds like the right fit for you and your family, we welcome your application! Our adoption process consists of an Adoption Application, Reference Checks and a Home Visit. Once you fill out and return the attached application and your references have been checked you will be contacted for a phone interview and then a volunteer will set up a mutually agreeable time to conduct your home visit. Once you have completed the adoption process and have been approved** you can start meeting dogs!! Our dogs are currently living in foster homes throughout Michigan, Ohio, Indiana, Illinois, Wisconsin and even Canada. Typically you will need to travel to the foster homes to meet the dogs; however, there may be occasions where the foster parent can work with you on making other visitation/location arrangements. We also find it helpful for you to bring your entire family (pets included) to meet the dogs to make sure that all personalities mesh well. We do not operate on a “first come, first served” basis. We place the dogs with which family we feel is the best match for the dog, everything we do is with the dog’s best interest in mind. We do not ship dogs. Please PRINT/SAVE a copy of this page for your records BEFORE submitting. Please PRINT/SAVE a copy of this page for your records BEFORE submitting. THANK YOU FOR YOUR INTEREST IN HELPING US TO PROVIDE SAFE, LOVING, AND PERMANENT HOMES TO WEIMARANERS IN NEED!